CrOp, socially responsible design-child of the amazing David Peck, is driven by local manufacturing, charitable partnership, and turning heads on the runway. CrOp, which stands for Creative Opportunities, implements ethical solutions in all aspects of production. Committed to manufacturing in the US, all CrOp garments are produced with pride in David Peck’s own facility in Houston, TX, where each year, about 5,000 pieces are made. Peck draws inspiration for each collection from the causes he supports. And to tie the knot, his distinct custom prints and vibrant hues are designed on textiles made of all organic, fair trade and natural fibers. Peck’s design expertise began while he was living and working in our favorite fashion city, Paris. 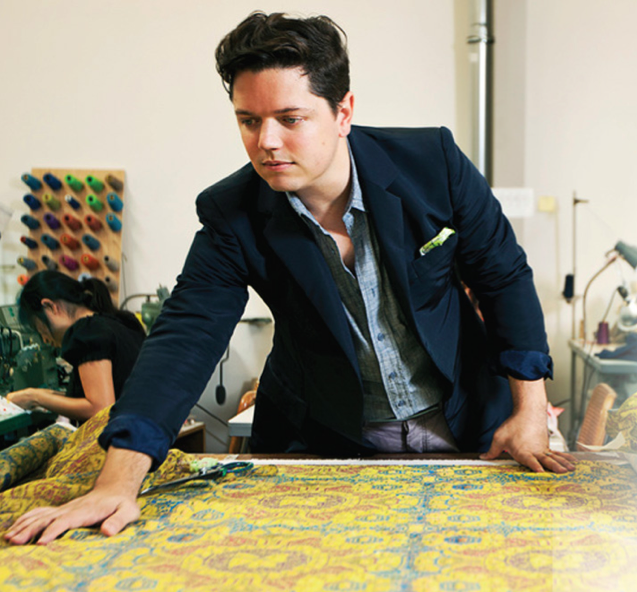 After moving to New York in 2008, Peck co-founded Untitled 11:11, a design label committed to sustainable practices. Since then he has come home to create his own line, CrOp, that represents his homegrown ideals, combining local manufacturing, meaningful job creation and minimal environmental impact. For the Fall 2012 line, entitled “Coming Home,” he partnered with Covenant House Texas, a diverse group of progressive, career-minded young professionals who care about the issue of youth homelessness and want to make a difference. Check out the Fall 2012 collection here.